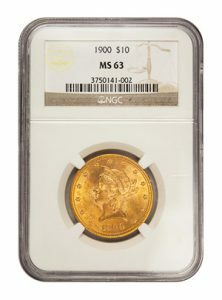 The $10 Indian was introduced in 1907, which ended the $10 Liberty’s production. 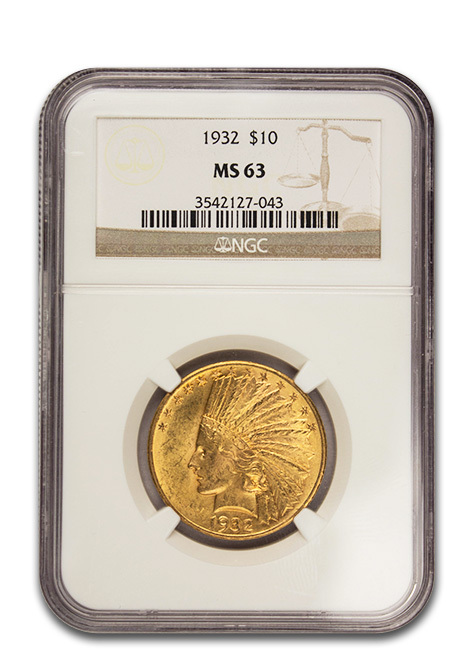 As one of only two coins designed by Augustus Saint Gaudens, the $10 Indian is considered one of the most beautiful U.S. minted coins. 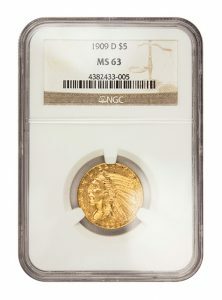 The obverse (front) features the head of Liberty wearing an Indian war bonnet that says ‘LIBERTY’. 13 stars representing 13 colonies arc above Liberty’s head and the date appears at the bottom of the coin. The reverse (back) shows a bald eagle standing among olive branches. The Latin phrase ‘E PLURIBUS UNUM’ is to the right of the eagle which means ‘Out of Many, One’. The words ‘UNITED STATES OF AMERICA’ and the denomination appear at the top and bottom of the coin, respectively. By an order of Congress, the motto ‘IN GOD WE TRUST’ was added to the coin in the middle of 1908. 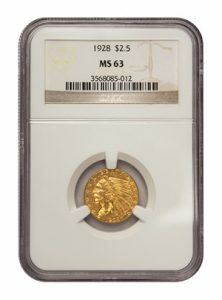 The $10 Indian was minted in Denver, Philadelphia, and San Francisco.